I strive to reach one’s mind with wonderment, to capture one’s heart with beauty and truth and to touch one’s soul with profound emotion. This is accomplished through abstract photography where I find unlimited possibilities in the exploration and communication of human emotions. Abstraction gives me a voice to express myself using a unique visual language where the vocabulary has connections that resonate on a deep, unconscious, emotional level. With each project, formal elements are transformed with the use of a variety of unconventional subjects, e.g., collages, squares, and curtains, and unorthodox in-­‐ camera photographic techniques. When photographed, the subject’s formal elements are altered displaying abstract images with no representational distinction. With the click of the shutter, the subject’s colors, lines, shapes and form are exposed on the camera’s sensor much like a painter’s brush lays paint on specific areas of a canvas. While results may be somewhat serendipitous, the images, uniquely cutting edge and intensely emotional, create a complex window into one’s unconscious. Being Human Project consists of a red square photographed on a white background. The square is characterized as one’s self, alone in negative space or nothingness. Color and shape play an important role in conveying the square's emotional context and defining nature. As it becomes more distorted, it becomes more complex evoking a strong, emotional narrative inward. While individually powerful, when displayed as a group, the images together create an emotional synergy. A matrix of the photographs may be viewed linearly, vertically and/or diagonally with an arrangement such that one may or may not necessarily reach a resolution. The images portray emotions from experiences—physical, mental or interpersonal—over a period in time whether fleeting or long lasting. 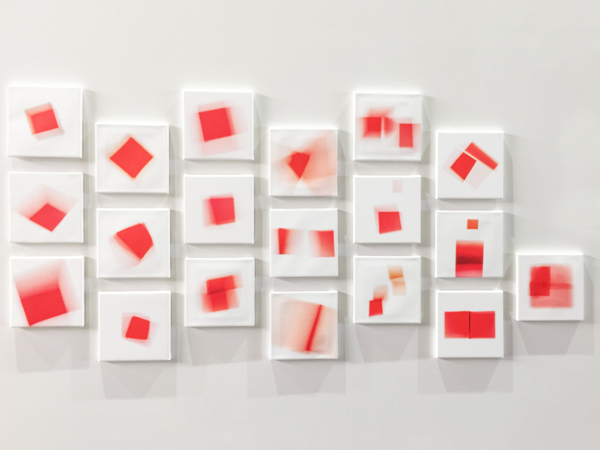 In its simplicity, the distorted red square creates an introspection revealing the essence of "being human" and its transformative and existential nature. His photographic experience began at CEPA in Buffalo, NY and was furthered in his studies at the Center of Media Study at SUNY Buffalo where he received his M.A. in filmmaking. That led to five years of freelance scriptwriting for corporations and non-profits, one year as an adjunct professor in filmmaking at SUNY Fredonia, and periods of commercial photography. He was also a facilitator for VASA Project’s Global Photography Project. He has exhibited in the United Stated and Canada, is currently in VASA’s Journal on Images & Culture and is a featured artist online on Manhattan Arts International.